In medium bowl, mix yogurt, coconut, pineapple and brown sugar. Serve dip immediately with fruit and cookies, or cover and refrigerate at least 1 hour. Yoplait® Original Key lime pie yogurt makes a citrus stand-in for the vanilla yogurt. With this snack, you can have your fruit and cookies, too! 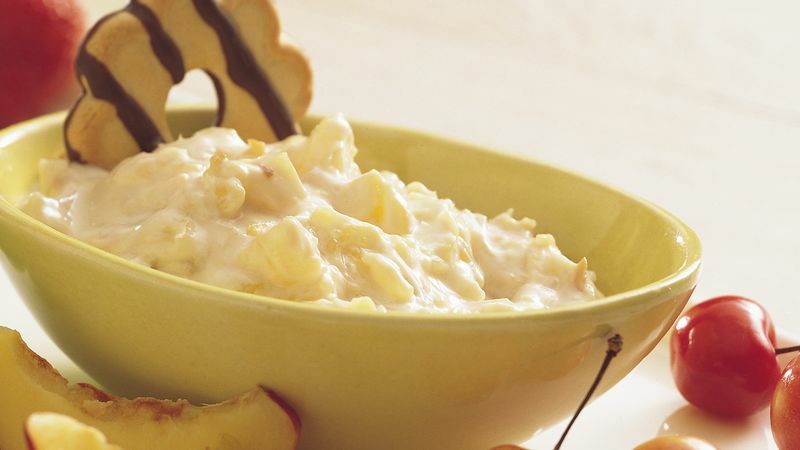 Dunk any fruit or cookies you desire into this tasty, tropical dip.